For fans of the Metro series, like us, the news of Metro Redux was met with much happiness. The trailer below, just released, shows some great new visual touches and some fantastic lighting used. 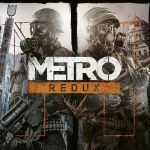 In the video, discover how 4A Games have made Metro Redux one of the most complete and ambitious ‘remasters’ of modern times. This update looks ace. Can’t wait to go back in to the Metro.